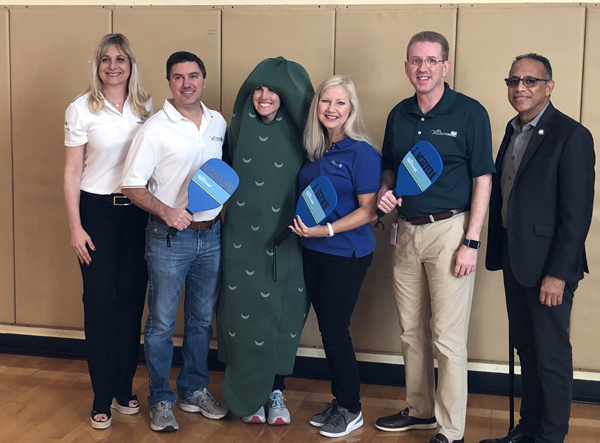 Boys & Girls Club CEO Jaene Miranda, Councilman Michael Napoleone, Gloria Kelly, Mayor Anne Gerwig, Councilman John McGovern and Victor Rivera. 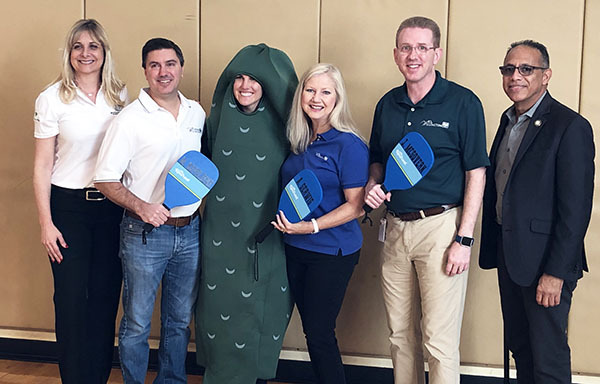 On Monday, April 1, the Village of Wellington launched its new pickleball program at the Neil S. Hirsch Family Boys & Girls Club. 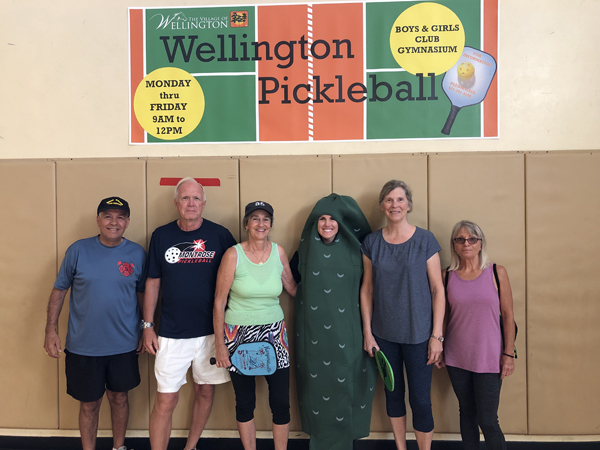 Wellington has been hosting an outdoor pickleball program popular with local senior citizens at Village Park. 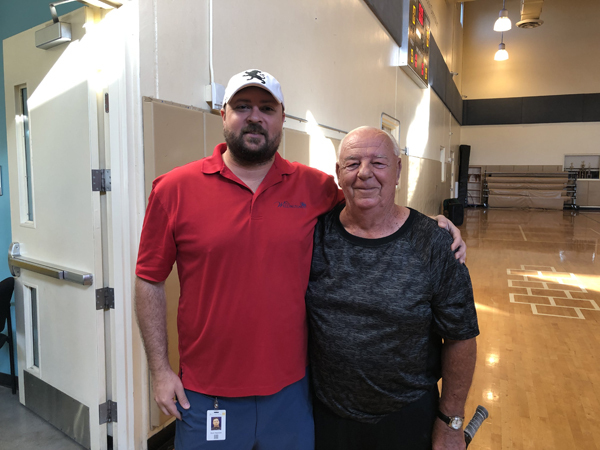 However, Community Services Director Paulette Edwards explained that there have been requests to find an indoor pickleball location. “We needed to find a location for our seniors so that they could play without strain from the weather,” she explained. 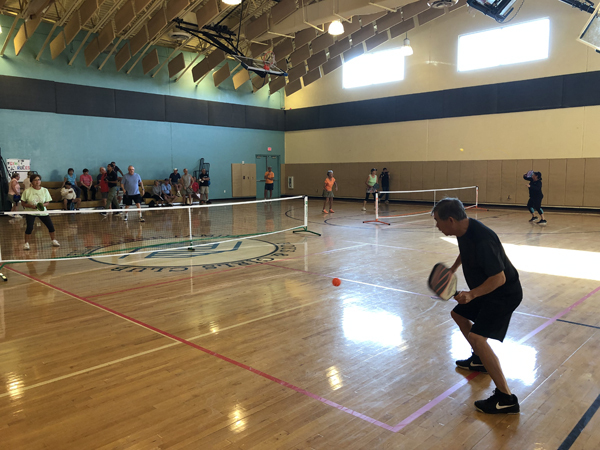 More than 40 seniors showed up to play the fun game that combines elements of badminton, tennis and table tennis. 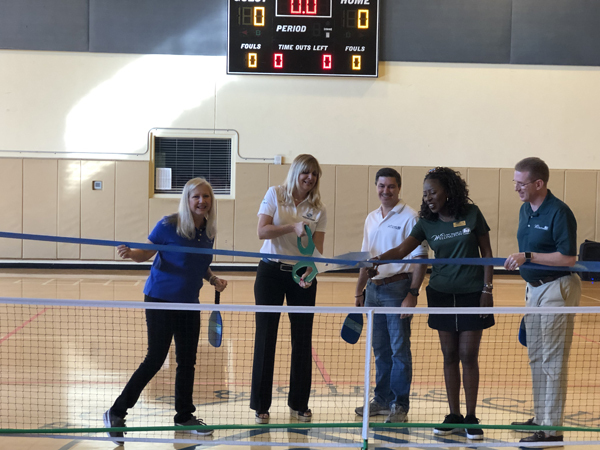 The event included a ribbon-cutting ceremony to formally launch the new program, which uses the Boys & Girls Club gymnasium at a time when the club’s children are in school. 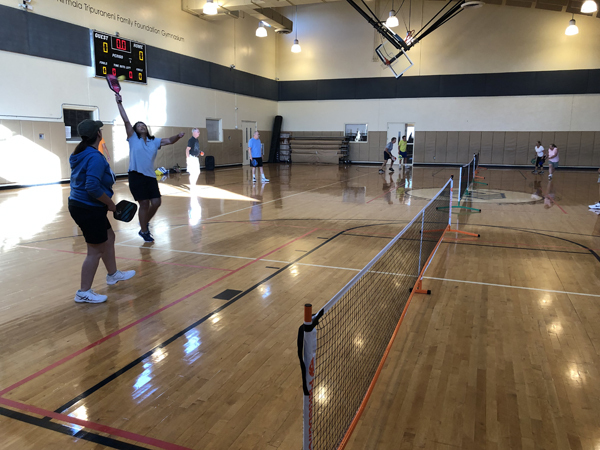 The Boys & Girls Club gym will be available for pickleball on Mondays through Fridays from 9 a.m. to noon. 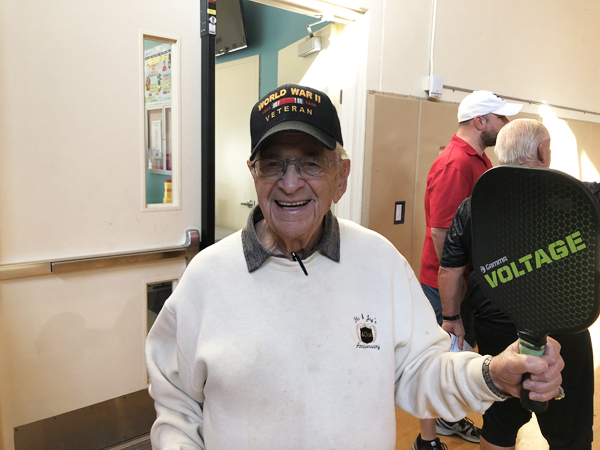 Pickleball will continue at the Village Park roller hockey rink on Tuesdays and Fridays from 6 to 9 p.m., and Saturdays and Sundays from 4 to 7 p.m. For more information, call (561) 791-4005.